"Hey Don, best to use the imgur app where when you can preview the image, you can then press and hold, then choose the copy link option. You must put the link between the [i mg][/i mg] brackets, and you must have an image extension in that link, i.e. .jpg or .jpeg, assuming they are that format." If that's not correct someone else will have to advise. Well, I'm a big fan of the yakfisher forum and continue to monitor it on a daily basis despite the decreased activity. I joined Facebook in order to stay tuned in to the fishing stuff but all-in-all I don't like it and ignore most of the personal material. I hardly ever take a fishing picture and never a video but I do like to see the photos others post. 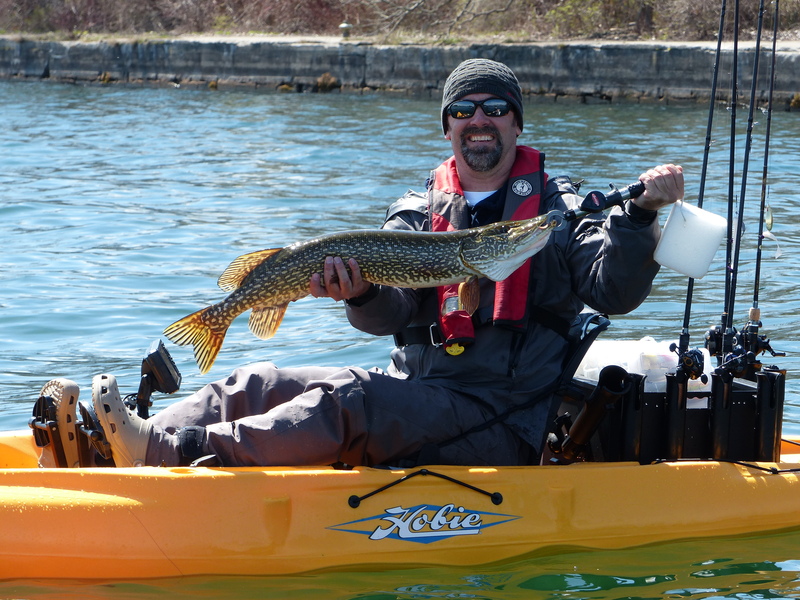 For what it's worth I'd encourage members to resurrect their activity on yakfisher if for no other reason that it's so focused on kayak fishing in southern Ontario. We do have a Facebook page. It just barely gets used. I used to be in a couple photography and car forums and they are dying as well. Is there a yakfisher.net FB group? Maybe post in there? Hey Dave ! Many different mediums online and many differents guys ideas of whats fun to them or not. Like Peter said plenty of great guys online and plenty of previous info on gear and fishing species/areas and get togethers . Simliar likes and de similar likes is the main culprit i find of the forums and even facebook. Go ahead and post your fishing hookups and pictures and perhaps will get a response. Welcome to hit down here in the Windsor Area. Any fish species just pm anytime . Just like the rest of members. Google photo are free as long you have a gmail email/account open with them. It's sad that forums are becoming a thing of the past. I've met so many friends over the years on this and many other forums. Facebook groups and Instagram are so much easier to use with phones/tablets. A lot of the younger generation don't even own computers anymore. I'll use and support the forums I'm a member on till the bitter end but fear that will be soon. The photobucket fiasco is why I stopped posting reports. Free photo hosting my a$$. A few things that have contributed, Facebook, Instagram, and the changes in policy at Photobucket forcing people to find a new source to host images. There has also been a change of guard with the old regulars moving on. Yakfisher isn’t the only forum experiencing this. Many of the car forums I’m on have experienced the same drop in participation. I hope everyone is enjoying this awesome summer. I was wondering what happened to this site? It used to be so active on a daily basis and now it barely seems to get used?